I joined the Post & Telegraph Department as a message boy in 1921 at a small country post office at Rawene, in a harbour north of Auckland, New Zealand. Auckland was our chief Telegraph Office. Our own office was classified as suburban. There was plenty of telegraphic work. The County Hospital was in Rawene and there were two Australian-owned timber mills. Ships from Sydney called regularly to carry timber to Australia so we handled many incoming and outgoing international cables for the company. We handled our own traffic and that of twelve small country post offices, one of which was Hokianga Heads where the Harbourmaster and Collector of Customs, was resident at the Signal Station at the harbour entrance. Every morning, Monday to Friday, just before 9 am his urgent weather telegram (UWT) took precedence over other telephone calls to us. The telegram was for ‘Weather Wellington’ and if it was delayed Auckland would want to know why. From this telegram, and many others around the country, weather reports for New Zealand were compiled in the Weather Office at Wellington. We received the current NZ weather report from Wellington soon after noon each day in 4-letter cipher. The report was deciphered and exhibited on the public notice board in our office. There were no radio reports. The telegraph and telephone were the main means of communication in those days. The Morse line to Auckland was always busy and this provided plenty of scope for me to learn to read the code. We handled a wide variety of procedure messages such as ordinary telegrams (OT), money order telegrams (MOT), British money order telegrams (BMOT), radio telegrams, ordinary overseas cables (cable), Savings Bank telegrams (SBT), all to Auckland. Coming from Auckland were night letter telegrams (NLT), service telegrams (ST), reply paid telegrams, urgent weather telegrams (UWT), extra-ordinary telegrams (XOT), press telegrams (P1), and greetings telegrams (GTG). During the Christmas period the lines would be jammed with the latter. When received, these types of telegram were written on different types of special pads, with carbon copies for the record, so we had to keep a fair variety of pads available for use. Incidentally, we also received coded bank telegrams and many telegrams in the Maori language. The long lines to Auckland over rough country, in wet weather, presented us with poor signals at times, making reception of the Maori language difficult and the lines wouldn’t stand up to a 40 wpm man. On many occasions we would call Whangarei, our intermediate station, to adjust our signals which were sometimes easier to read off the relay than the sounder. 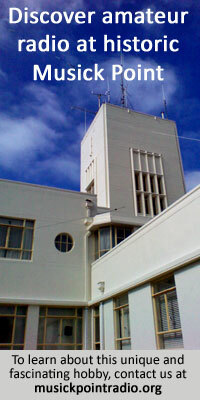 The Chief Telegraph Office in Auckland, and other Chief Offices throughout New Zealand, sent LS (calling all stations) on all Morse circuits at 3 minutes to 9 am every morning, Monday to Friday. This was sent for 3 minutes then right on 9 am, the word TIME, and from this signal all Morse offices in New Zealand set their clocks. Once, when on holiday in Auckland, I visited the Chief Office before 9 am and experienced the absolute din of many Morse keys pounding out LS and TIME, all in excellent rhythm with each other. So started my introduction to Morse which always fascinated me. Hearing all these good operators made me strive to learn to send copperplate code. Sometimes we were allowed to go back in the evenings to practice with chaps at other offices. I learned message procedure and with constant practice on my own rough outfit at home I soon became proficient. How thrilled I was when one day I was allowed to send and receive a telegram on the live circuit. Around this time I became really interested in wireless Morse signals. With a simple crystal set, some excellent Brown’s 10000 ohm headphones and a 40ft high 7/22 copper wire aerial I spent many happy evenings learning radio procedure. Once my headphones were on I was in another world – the world of Morse! I picked up VIS Sydney, VIB Brisbane, various stations across New Zealand, and from across the Pacific, such as VPD Suva, and VLC Chatham Islands. In those days many ships sailed to and from NZ and I learned many of their calls. On one occasion I heard a radio telegram from a ship en route for Auckland sent to a family at one of our country post offices. Sure enough, after 9 am the next morning we received the radio telegram from Auckland. At that time I was still a humble message boy with an annual salary of £52. I gained my Morse Cadetship the hard way, not by going to a Morse school but by passing the exam in the suburban office, later being promoted to Telegraphist, then Senior Telegraphist. Working in suburban post offices involved a wide variety of work in addition to telegraphy. This included telephone connections, savings bank and money orders, postal and counter work, office accounts, telephone equipment and stores, births deaths and marriages, motor registration, census, and so on, all requiring a knowledge of the appropriate rules and regulations. 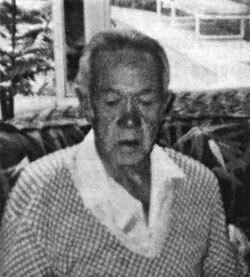 Aubrey enlisted in the Second New Zealand Expeditionary Force in July 1940, serving in the army until June 1945. He had an eventful war through several campaigns, including escaping from Greece to Crete by boat with a handful of others to evade capture by the enemy. He operated a variety of signal equipment during his service, including the ubiquitous Fullerphone which often got through in the North Africa campaigns when the teleprinters failed. I rejoined the post office as a Postmaster on my return from the army although in the event I didn’t make a career of the Post Office, moving on to other things within a year. One of our staff was interested in Morse so I practised with him for some months and he became an excellent operator. He then went to London to join the Marconi School of Wireless, becoming a ship’s radio operator. It seems strange, but my dearest wish was to have become a ship’s operator. II never made it, but it was some small consolation that my friend did succeed with my help. In 1978, a post office line faultman came to reside next door to me. He heard I had been a Morse operator and asked me to help him increase his speed so that as an amateur radio operator he could work overseas stations. He failed his exam through nervousness, sat again and passed without trouble. I still have a key and sounder and still listen to Morse from around the world at 84 years of age.